Tak (Thai: ตาก, [tàːk]) is one of the western provinces (changwat) of Thailand. Neighbouring provinces are (from north clockwise) Mae Hong Son, Chiang Mai, Lamphun, Lampang, Sukhothai, Kamphaeng Phet, Nakhon Sawan, Uthai Thani and Kanchanaburi. The western edge of the province has a long boundary with Kayin State of Myanmar (Burma). The Bhumibol Dam (named after King Bhumibol Adulyadej, the old name was Yanhee Dam) is in Khao Kaew Tambon (sub-district), Amphoe Sam Ngao (district) of Tak and was built from 1958 to 1964. It stops the river Ping, one of the two sources of the Chao Phraya River. The artificial lake created covers an area of 300 km² and is the largest in Thailand. Taksin Maharat National Park, Namtok Pha Charoen National Park, Lan Sang National Park, and Khun Phawo National Parks are all in the province. 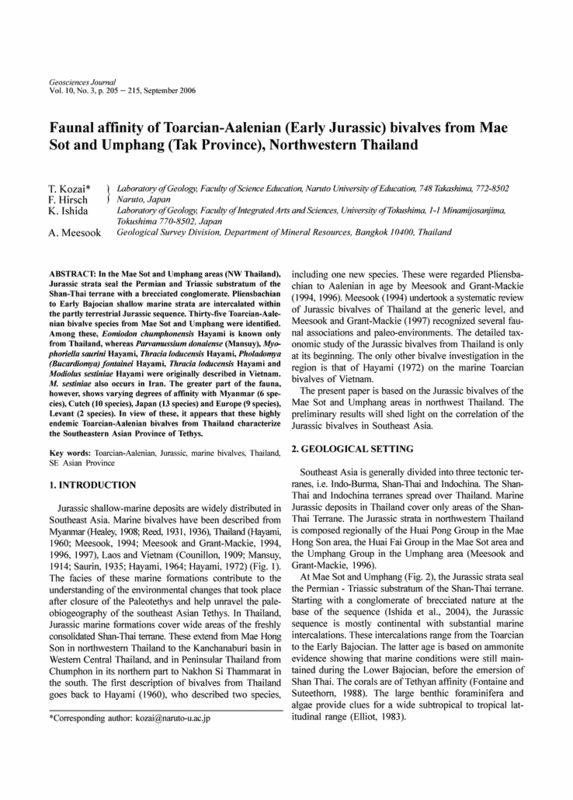 Thungyai Naresuan Wildlife Sanctuary share half of the lake front with Kanchanaburi and Huai Kha Khaeng Wildlife Sanctuary at the border with Uthai Thani and are World Heritage Sites. On the western side of Tak Province the Tenasserim Hills meet the Dawna Range. One of the few transnational roads and cross-border points into Myanmar is located at Mae Sot. Northwestwards of Mae Sot the main road on the Thai side skirts the border until it turns straight north towards Mae Hong Son. Tak Province occupies 16,406 km2 and lies 426 km north of Bangkok. Tak was a historical kingdom built over 2,000 years ago, even before the Sukhothai period. The ancient kingdom had its peak around the 1st century. By the 5th century the capital of this kingdom was moved south to Lavo (present day Lopburi Province). A city named Ban Tak was established by Jamadevi (พระนางจามเทวี), princess of the Lavo kingdom, around 663 CE. It became part of the Sukhothai kingdom through battles led by Ramkhamhaeng the Great and formed the main fortress on the western front. The city was moved further west and renamed Mueang Rahang when the Ayuthaya kingdom was lost to Burma during King Maha Thammaracha's reign. The city was moved back to the east side of the Ping River during the early Bangkok period. King Taksin was vice-governor of Tak before the Ayutthaya kingdom fell during the war with Burma. As his name was Sin, he became called Tak-Sin during his time in Tak. Agriculture is a major part of the Tak economy. The province of Tak produces rice, corn, vegetables, fruits, beef, tilapia, and other foods. Industries in Tak include mining, granite, and jewelry. Handicrafts and Myanmar products are also important for trade. The Bhumibol Dam in the northern part of Tak is its most popular tourist attraction. 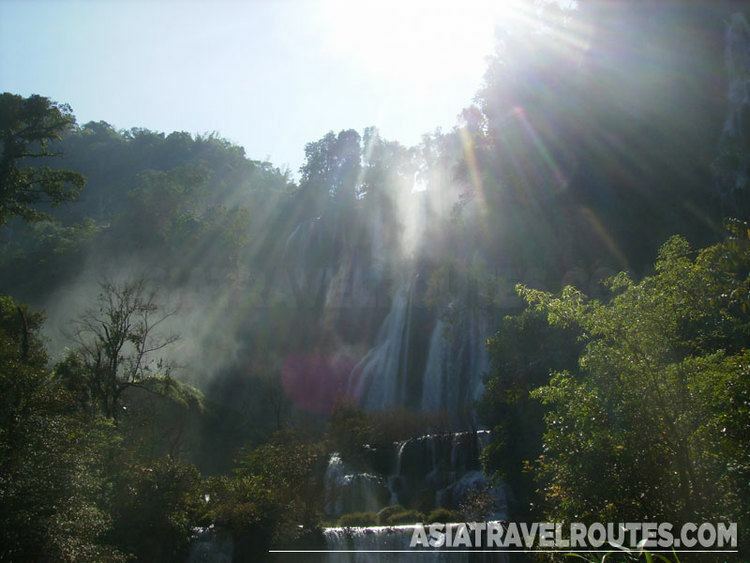 Tourism, especially ecotourism, in the southern part is seasonal with popular destinations such as the Thi Lo Su Waterfall, Thi Lo Le Waterfall, hiking and white water rafting in its various forest reserves. Tak is also known for its Loi Krathong festival where krathong sai (กระทงสาย) consisting of many krathongs are floated in a long line down the river. The Loi Krathong festival is held on the Ping River in Amphoe Mueang Tak on Loi Krathong night. Tak is a key communication and transportation centre of the north, with three Asian highways passing through the province. AH1 enters through the Myanmar-Thai border at Amphoe Mae Sot AH2 passes through the province from north to south. Also AH16 terminates at Tak. About a quarter of the population belongs to one of Thailand's hill tribes: Yao, Karen (Thai Kariang), Akha (Thai Akha), Lahu (Thai Musoe), Hmong (Thai Mong), and Lisu (Thai Lisaw). The largest tribe in Tak is Karen. According to the UNHCR data of 2006, nearly 100,000 of Thailand's 130,000 registered refugees from Burma are housed in several refugee camps in Tak province of which Mae La camp is the largest with around 45,000 Karen refugees. The provincial seal shows King Naresuan on the royal elephant. Sometimes below the elephant a garuda is depicted, as the garuda is the state symbol of Thailand. King Naresuan is shown pouring consecrated water on the ground, a symbolic act to declare independence. This refers to the war of 1584 with Burma, when Tak was the first border town to be liberated from Burmese control. The provincial slogan is, "A town of wonderful nature, huge Bhumiphol Dam, King Taksin The Great and beautiful forests". The provincial tree is the Asian Jatoba (Xylia kerrii), the provincial flower is the Orchid tree (Bauhinia sp.). The province is subdivided in nine districts (amphoe). These are further subdivided into 63 subdistricts (tambon) and 493 villages (muban). Si Maharat City Pillar Shrine (ศาลหลักเมืองสี่มหาราช) A shrine was established in 1992 to commemorate the four great kings as well as public spirit centre of the people of Tak. King Taksin the Great Shrine (ศาลสมเด็จพระเจ้าตากสินมหาราช) In 1947, the people in the town considered that the existing shrine was not worthy of its subject. They built a new shrine and commissioned the Fine Arts Department to sculpt a larger than life size statue of King Taksin the Great in a sitting position with a sword across his lap. Wat Bot Mani Si Bunrueang (วัดโบสถ์มณีศรีบุญเรือง) The ubosot (ordination hall) was built during the reign of King Rama IV. There is a Mon–style pagoda that enshrines the Buddha's relics in its umbrella-shaped top. The wihan or vihara houses the principal Buddha image called "Luangpho Phutthamon", which was built during the Sukhothai period. Wat Doi Khoi Khao Kaeo or Wat Phrachao Tak (วัดดอยข่อยเขาแก้ว หรือ วัดพระเจ้าตาก) The important ancient places are the ubosot (ordination hall) with double-slab-boundary stones signifying royal patronage, the Buddha's footprint in the ubosot, and two chedis (pagodas) where the ashes of King Taksin the Great's father and mother repose. Wat Mani Banphot Worawihan (วัดมณีบรรพตวรวิหาร) It has an angular Mon-styled chedi (pagoda) with 16 indented corners at the back. Inside the ubosot, there is a portrait of King Rama V royally given to this temple, and a Buddha image "Phra Phuttharup Saengthong". Wat Sitalaram or Wat Nam Hak (วัดสีตลาราม หรือ วัดน้ำหัก) The ubosot and a wooden building were built in the European-style. The ordination hall once burnt and rebuilt. It has a wood-carved gallery in the front and houses a Buddha image of the Ayutthaya period. Trok Ban Chin (ตรอกบ้านจีน) This place is near Wat Sitalaram. 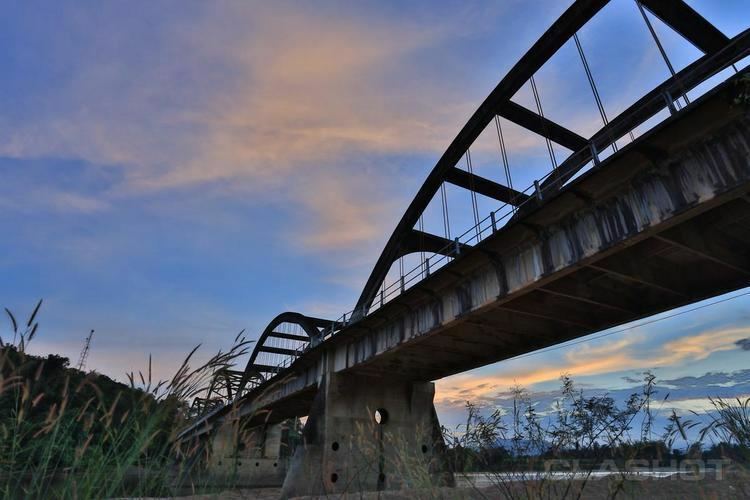 Until the extension of the Ping River, the area had been a trading area and on a distribution route of goods and consumption products from the Pho estuary in Nakhon Sawan to Ban Tha Chin. Wat Khao Tham (วัดเขาถ้ำ) Inside the temple, there is the Buddha's footprint, Phra Sangkatchai, and Kwan Yin (Goddess of Mercy). Luangpho Thanchai, the stucco Buddha image sculpted within one day, is housed in the ubosot. There is a chedi atop the hill overlooking Tak town. Wat Mani Phraison (วัดมณีไพรสณฑ์) Within the compound, there is a unique building called "Chedi Wihan Samphutthe" which contains 512,028 Buddha images and has 223 small pagodas on its outer surface. The ubosot is more than 200 years old. Wat Chumphon Khiri (วัดชุมพรคีรี) A temple more than 200 years old. A newly built chedi is an imitation of Shwedagon Pagoda in Myanmar. The principal Buddha image in the ubosot is of the Mara-subduing attitude. A 200-year-old drum is kept in the wihan. Namtok Mae Kasa (น้ำตกแม่กาษา) There is a path leading up to a high mountain. A cave in front of the waterfall has a 5 m wide stream of water which serves as an entrance to the waterfall. Bo Nam Ron Mae Kasa (บ่อน้ำร้อนแม่กาษา) This 2 m wide hot well is in Tambon Mae Kasa. Hot and cool streams flow to meet at this well. Hill tribe Development and Assistance Centre and Tak Plant and Production Factor Service Centre (Doi Muser) (ศูนย์บริการวิชาการด้านพืชและปัจจัยการผลิตตาก (ดอยมูเซอ) In the centre, the Ban Umyom Hilltribe Cultural Centre was established to give knowledge and advice to hill tribe leaders in tourism management. There is a display of clothes, jewellery, and household utensils, and an imitation of the Muser's house. Outside the cultural centre, there is an imitation of a "Chakhue" dancing ground. (Chakhue is a dance of the Muser). Doi Muser Horticultural Experiment Station (สถานีทดลองพืชสวนดอยมูเซอ) The station conducts experiments and research on coffee beans, tea, fruit, vegetables, and temperate flowers. During November to December, the area around the station is covered with Mexican sunflowers in full bloom. Doi Muser Hill Tribe Market (ตลาดสินค้าพืนเมืองชาวเขาดอยมูเซอ) On the roadside of the Tak–Mae Sot route (Highway 105) near km29. Chaopho Phra Wo Shrine (ศาลเจ้าพ่อพะวอ) The story has it that Chaopho Phra Wo was a Karen warrior who was appointed by King Taksin as chief of the Mae Lamao border pass to protect the land. Wat Phothikhun or Wat Huai Toei (วัดโพธิคุณ หรือ วัดห้วยเตย) The interesting feature is the ubosot. The boat-like ubosot has three storeys. The ground storey has no decoration. Decorations were made to the walls, ceiling, and heads of the posts on the second storey. On the third storey where religious ceremonies are performed, it was finely decorated on the walls, posts, and ceiling, with the arts of bas-relief, painting, glass inlaying, and gilding. Wat Thai Watthanaram (วัดไทยวัฒนาราม) This is a temple of the Mahayana Buddhism (Great Vehicle) of the Thai Yai people. Inside the temple, there is Phra Phutthamahamuni, an imitation of the sacred Buddha image in Mandalay, Union of Myanmar. 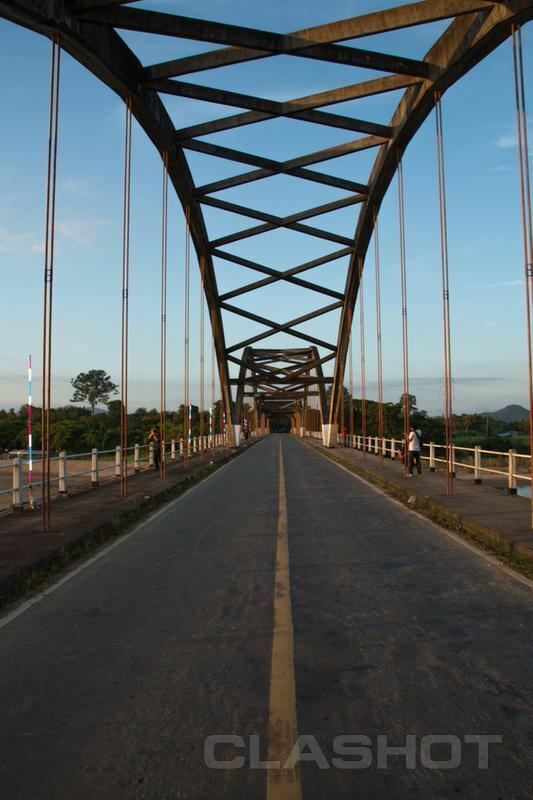 Thai–Myanmar Friendship Bridge (สะพานมิตรภาพไทย-พม่า) The bridge is in Tambon Tha Sai Luat, across the Moei River between Tak’s Mae Sot district and Myawadi in the Union of Myanmar. Rim Moei Market (ตลาดริมเมย) It is a community on the bank of the Moei River. It is also a market of local products of Thailand and Myanmar, as well as a market for gemstones from Myanmar. Phrathat Hin Kio (พระธาตุหินกิ่วที่ดอยดินจี่) It is a miracle of nature that a gigantic rock can stay on such a cliff. The rock is so slim at some point that it seems to be parted into two pieces. A Mon-styled chedi was built on the exact width of the rock. The Moei River (aka Thaungyin in Myanmar) (แม่น้ำเมย) This river is the border between Myanmar and Thailand. It is 327 km long, flowing north. Amphoe Mae Ramat is another district of Tak that borders Myanmar, 120 km from Tak town. Most of the areas are forests and mountains. It was presumed that the Mae Ramat district was a community of the Karen. Wat Don Kaeo (วัดดอนแก้ว) One of the three marble Buddha images built at the same time in a Burmese style of sculpture was invited from Yangon to house in the wihan (image hall) here. Doi Khun Mae Tuen (ดอยขุนแม่ตื่น) There is a wide rocky ground and a small cave with stalagmites and stalactites. Inside, where many wild animals, such as barking deer, serow, bat, etc. live. Lam Nam Mae Tuen (ลำน้ำแม่ตื่น) This large tributary of the Ping River flows to merge with the main stream above the Bhumibol Dam. Doi Soi Mala (ดอยสอยแม่ลัย) It is the highest mountaintop in the Mae Tuen Wildlife Sanctuary, about 1,600 m above sea level. One interesting thing here is a salamander (or named as Chingchok Nam) which is a rarely seen ancient species, similar to a lizard with a pink body. Amphoe Umphang A district bordering with the Union of Myanmar and the largest district of Thailand. Umphang was once a gateway town on the western border subject to Uthai Thani Province. It was also a checkpoint for the Burmese people who crossed the border to trade in Thai territory. Ban Boran The houses built on stilts have an open ground floor. There is a set of stairs in the front of the house. A bench is set in parallel to the portico. Namtok Thi Lo Su This large waterfall is on a limestone mountain, 900 m above sea level. It originates from Klo Tho Creek cascading along a steep cliff. Namtok Thi Lo Cho or Namtok Saifon Its rapidly flowing stream against boulders causes sprays of water that look like falling rain from the sky, and a rainbow is therefore created. Namtok Se Pla This waterfall on a limestone mountain flows in tiers, and is 10 m wide and 50 m long. Its flowing stream against boulders looks like a beautiful white cloud. Namtok Thi Lo Re The main stream of water flows along the high steep cliff into the Mae Klong River from the height of 80 m amidst the beauty of nature. Doi Hua Mot There are no large trees on these mountains; only small grasses, such as cycad and Thian pa (Impatiens calcicola), grow in general. Wildflowers can be seen in full bloom during the rainy season. Tham Takhobi This large cave with a high ceiling has a wide path in tiers and many walking lines inside. Its stalagmites and stalactites are attractive. Amphoe Ban Tak It was once a city of Tak and an important gateway to the west of the Kingdom of Sukhothai. Wat Phra Borommathat The ubosot has a beautifully carved-wooden door. The old wihan has a high ceiling with double tiers, and is well equipped with ventilation channels so that it is cool inside. A gilded stucco Buddha image is housed in the wihan. Chedi Yutthahatthi or the Chedi in Honour of King Ramkhamhaeng the Great This Sukhothai–style artwork stands on a cement square base 12 m in width. Petrified Forest Park where some of the world's largest fossil trees are preserved (the longest one is up to 72 m or about 236 feet long). The exact age of the gravel, sand, and fossil wood deposits has not been determined. However, according to the study of geology of northern Thailand region, they must be more than 800,000 years old. This is the first and the largest petrified forest park in Thailand and Southeast Asia. 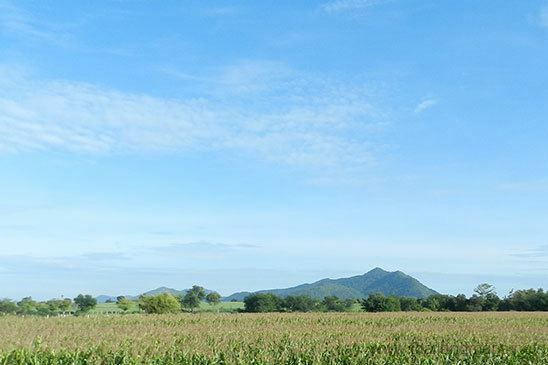 Mae Salit Stone Mortar and Production Site is the largest granite mortar in Thailand. The fact that the village of San Klang is where the famous stone mortar "Khrok Ang Sila" is made as an OTOP handicraft, is known to a few. Pha Sam Ngao There, three deep holes were carved into the cliff at the mountain foot, and a gilded Buddha image is housed in each of the three niches. Wat Chonprathan Rangsan The temple was established to replace the eight temples which were flooded in 1959. Important items of each of the eight temples were moved to be maintained in this temple. Wat Phrathat Kaeng Soi It was presumed by the Fine Arts Department that this area was probably an important gateway town of the Hariphunchai Kingdom, named "Wiang Soi", over 800 years ago. Today, the archaeological evidence of the town lays underwater, and it can be seen only when the water recedes to a low level. Miang Kham Mueang Tak or Miang Chomphon Its condiments include shredded coconut, fried dried rice, roast peanut, dried shrimps, crispy pork skin, small pieces of lemon, shallot, and ginger, fresh capsicum, soya bean sauce, and sesame cracker or leaves of Cha-phlu (Piper sarmentosum Roxb). The sesame cracker will be softened in water. The rest of the condiments will be wrapped by a soft cracker into a titbit and topped with a drop of soya bean sauce. Miang Kham is a kind of snack popular in Tak and nearby provinces. Kuaitiao Phuen Mueang Remarkably, noodle soup here is cooked with small flat threads. Other condiments are powdered dried shrimp, small pieces of crispy pork skin, shallot, fried garlic, chopped pork, sliced cow pea, granulated sugar, lemon juice, and fish sauce. Kabong Cho This kind of snack got its name from Burmese words: ‘Kabong’ means a pumpkin and ‘Cho’ (ကြော်), kyaw) means being fried. Pumpkin is coated with flour and fried until crispy. The tip of crunchiness lays on flour called ‘Paemong’ (from Myanmar ပဲမုန့်, pe mont) which is made from young soybeans. Nowadays, besides pumpkin, other vegetables, such as raw papaya, gourd, bean sprout, etc., are applied. The fried vegetables are eaten with sweet and sour dipping of which ingredients are tamarind juice, sugarcane juice, salt, ground peanut and garlic. Seng-phe and Halawa These are typical sweets of the people of Thai Yai. ‘Seng-phe’ looks like red sticky rice conserve, cooked from sticky rice, sugarcane juice and coconut milk, and baked or grilled until its coconut creamy topping turns brown. ‘Halawa’ is cooked from rice flour, granulated sugar, coconut milk, and tapioca, and topped with coconut cream like Seng-phe. Both of them have a sweet and creamy taste. Loi Krathong Sai Lai Prathip Phan Duang Tradition Loi Krathong Sai is an ancient tradition which has long been inherited over the past. It is held every year in November which coincides with the full moon night of the twelfth lunar month. ‘Krathong Sai’ is different from a Krathong cup in general. A cup of coconut shell is used as its body. Since the people of Tak love “Miang” – a local snack made of coconut flesh, and produce “Miang” as an important local product, a lot of coconut shells are left. During the Loi Krathong Festival, the people bring them to be cleaned and polished for making Krathong Sai. Prepared fuel is put in the coconut cups and then lit before floating them away in a line along the Ping River. The glittering cups provide an attractive scene on the Ping River at night. During this event, there is a competition of releasing the Krathong cups called ‘Krathong Sai Lai Prathip Phan Duang’ to win His Majesty the King’s Cup, cultural performances, a beauty contest entitled ‘Thida Krathong Sai,’ and OTOP booths. Taksin Maharachanuson Fair and Red Cross Fair King Taksin the Great who returned independence to the Thai nation had his background closely tied with Tak. The people of Tak, therefore, organise a traditional fair ‘Taksin Maharachanuson’ to honour him and publicise his heroic deeds. There is a light and sound presentation held as offerings to propitiate his soul, exhibitions, entertainment performances and booths of agricultural goods and OTOP products. The fair and the Red Cross Fair are an annual event held together during 28 December to 3 January at the King Taksin the Great Shrine. Khuen That Duean Kao Tradition This merit making event is held to worship the Lord Buddha’s relics on the fourteenth waxing moon day and the full moon day of the ninth lunar month of Thailand’s North, which coincides with the seventh lunar month of Thailand in general, or around late May or in June. There are processions of long drums, offerings, money donation trees, ‘Pha Pa’ robe trees and victory flags, and a robe to cover Phrathat (the pagoda where the Lord Buddha’s relics are enshrined), starting from Nong Lem, Saphan Bun, to Wat Phra Borommathat. A ceremony is held to offer the pagoda robe. On this occasion, a ritual is done to propitiate the Chedi (pagoda) built to the north of the temple by King Ramkhamhaeng to mark his successful elephant-back fight against Khun Sam Chon, the ruler of the city of Chot. Also, the traditional merit-making by giving offerings to Buddhist monks is held at the temple.